Sherman, Delia. The Evil Wizard Smallbone. Candlewick, 2016. Nick finally escapes his abusive uncle's home, only to find himself on the doorstep of an evil wizard who makes Nick his apprentice, which makes it impossible for Nick to leave his house. 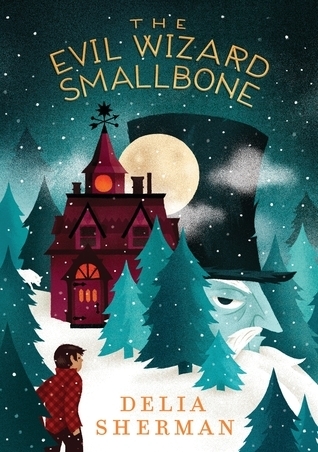 Smallbone has Nick cooking, cleaning, and caring for his animals; meanwhile the town around him is falling apart because they have not taken care of the magical protections the wizard had placed there. It takes the natural magical talents Nick has working together with Smallbone to save the town from someone even more evil than Smallbone himself. This was an adorably magical middle grade story, and kids who enjoy fantasy worlds like Harry Potter would likely enjoy this one as well. The characterization and world-building are well done without completely hiding the plot, and the action scenes will keep readers turning pages to find out what happens next. This book would make an excellent classroom read-aloud as well. Recommended.